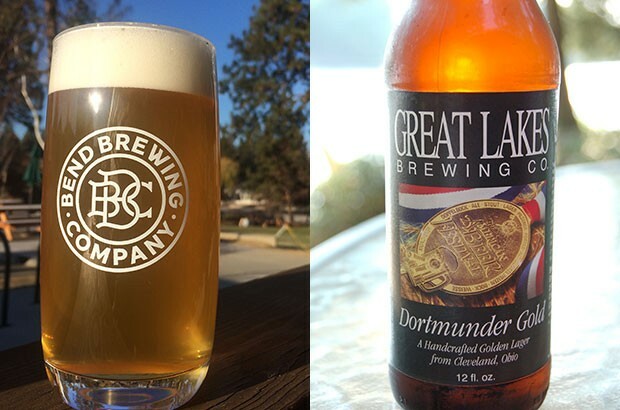 Great Lakes Brewing's Dortmunder Gold, right, and Bend Brewing Companies' Dortmunder, left, coming late November. Introducing Craft: New brews, industry news and takes on other drinks of note. Starting in the late '80s and through the early 2000s, "micro" and "microbrew" were the terms du jour in the beer industry. Deschutes Brewery and Widmer Brothers were the upstarts in an industry long dominated by macro-breweries. In a little more than two decades, the microbrewing trend exploded. As new spots opened, people in cities including Portland wondered whether denizens would support more than a few microbreweries. 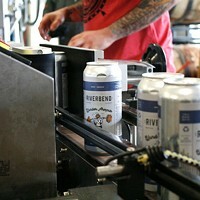 Today there are 84 breweries in the Portland metro area, according to CraftBeer.com, and 22 around Bend at last count. Over the years, some of the upstarts have morphed into bigger dogs with worldwide distribution; and with that, a shift from calling this form of brewing "micro" and instead calling it "craft"— defined as an emphasis on quality, flavor and technique. The focus on craft has extended to other drink industries, too. Oregon distilleries are popping up all the time. Our local community college now offers a course in mixology. Coffee and tea enthusiasts are finding new ways to innovate. Oregon's various wine countries are hot stops on locals' and visitors' tours. Our "Micro" column was born in an era when that was the industry term du jour. Today, our new "Craft" column is aimed at covering more than just beer, in an ever-changing drinks industry. Fueled by cocktail, wine and beer enthusiasts as well as industry experts, it's our hope that Craft continues to educate and entertain readers as much as Micro has over the years. 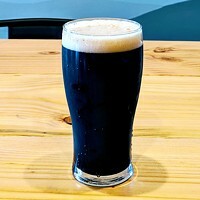 Light lager used to carry a certain stigma in craft brewing, but over the last few years local brewers have increasingly looked toward light lagers for inspiration—both as the ultimate test of a brewer's skill and as the antithesis to the exploding popularity of pastry stouts and hazy IPAs. Starting with the pilsner boom, then followed by the helles revival, Dortmunder export is poised to become the next classic lager style to find renewed life in Northwest breweries. Pilsners were once somewhat rare, but are now omnipresent, with their crisp, spicy hop bite and familiar drinkability. 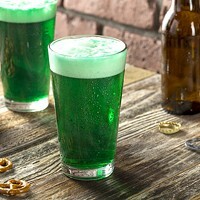 They were the first light lager style to break out amongst small brewers. Pilsner naturally lends itself to Northwest brewers' sensibilities, mainly a love of hops. Crux Pils may be the most widely available local example, while Silver Moon, Riverbend and Boneyard also produce year-round versions. As pilsners, seemingly overnight, exploded in popularity, brewers searching for the next big thing looked to Germany for inspiration. Helles lager ("helles" translates as light) is THE dominant style in Germany. Meant to be drunk by the liter, a well-crafted helles transforms its simple ingredients into a perfectly balanced, transcendent beer experience. Locally, Goodlife and Three Creeks both released helles lagers over the summer, while Double Mountain and Block 15 poured their versions at the 2018 Bend Brewfest. I first encountered Dortmunder export lager not on a soul-searching trip across Germany, but as a young person in Michigan, sampling Great Lakes Brewing Company's Dortmunder Gold. I suppose it's fitting that a beer from Cleveland, Ohio, would introduce me to the local style from Germany's own rust belt city, Dortmund. Once a Free Imperial City of the Holy Roman Empire, Dortmund grew to become the heart of the industrialized north. In the 1870s, brewers developed a unique take on the pale lagers from Pilzen, and Dortmunder Lager was born. Slightly stronger than pilsner or helles, Dortmunder is a golden-colored lager that's medium bodied with a distinctive dry, sometimes mineral-like finish. Today, Dortmunder Export lagers are rarely seen outside their home—with the exception of a growing number of Northwest taprooms. 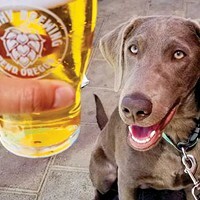 The lager-loving brewers at Pfriem recently released a bottled Export Lager that perfectly demonstrates the distinctive dry finish of the style, while Washougal, Washington's 54° 40' brewed Rick and Mortmunder for the Oregon Brewer's Festival. Look for an upcoming draft version from Block 15 as well as my own version at Bend Brewing Company in late November. Pilsner, helles and Dortmunder export all share nearly identical ingredients while maintaining distinct histories and flavors. 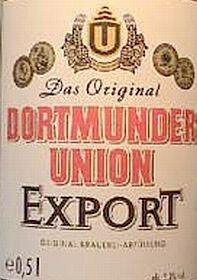 Now nearly extinct in its home city, Dortmunder export lagers, with their moderate strength, firm body and dry finish, are primed to become the next pale lager style rediscovered in the Northwest. As a new generation of German craft brewers look to hop-forward American ales as the future, Northwest brewers increasingly look back at the pale lagers of Northern Europe for inspiration of our own. 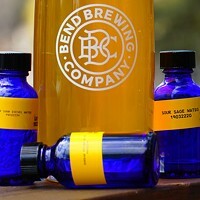 Zach Beckwith, one of several columnists contributing to the Craft column, is the head brewer at Bend Brewing Company. His contributions to Craft will include industry-insider brew news, takes on brewing trends and other info from the beer industry perspective.